Still some great fishing going on here with lots of gaffer size Dolphin and Blackfin Tunas with a scattered wahoo and yellowfin tuna as well. The fishing is red hot and the weather looks like it is going to be absolutely beautiful early next week. We still have a few days available so nows your chance to take advantage of some great fishing and great weather. 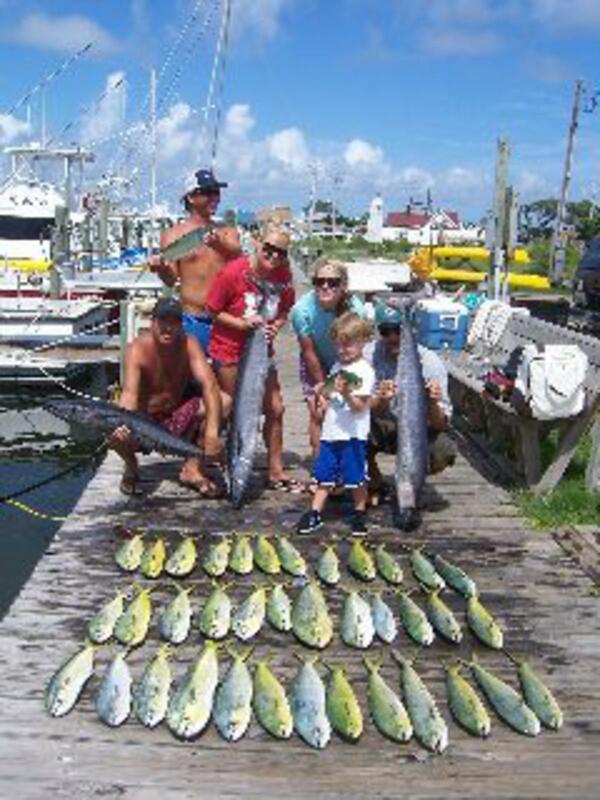 Give us a call to book your charter today.